At CarMoves.com, you can compare international auto transport companies and save up to 50% on international car shipping rates. Are you emigrating to another country and would like to take your car with you? You're not alone. Many people consider overseas car shipping as they realize it's often cheaper to take their own car to their new home, rather than buying a new one when they get to their destination. There are many different international car shipping companies that offer car transport services to international destinations, but it's something that you should also consider carefully to ensure that everything is in order to make the move as smooth as possible. Whenever you move a car from one country to another, consider not only the physical aspect of the move, but also understand there is considerable paperwork involved when you move a car overseas that needs to be completed at both the shipping origin and destination. For example, if you are looking for international auto shipping services to move to Australia, you need the correct import paperwork to be done prior to leaving the United States, or the car will simply be refused entry at the port and you will have to foot the bill to ship it back again. This is where you need to be careful to ensure your international auto transport costs aren't too high. The best way to organize overseas car shipping is to go to a reputable company that has a good reputation for making international moves. This way, they will be able to organize all the shipping paperwork on your behalf and you wont need to worry about any complications that may arise. 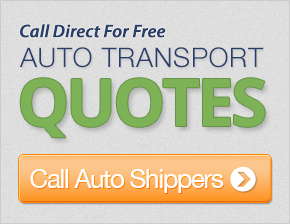 This can also save you a great deal of money on your international car shipping rates.